Apple on Tuesday quietly increased the cost of accidental damage coverage for the iPhone, as the company will now charge $79 for up to two incidents through its AppleCare+ protection plan. 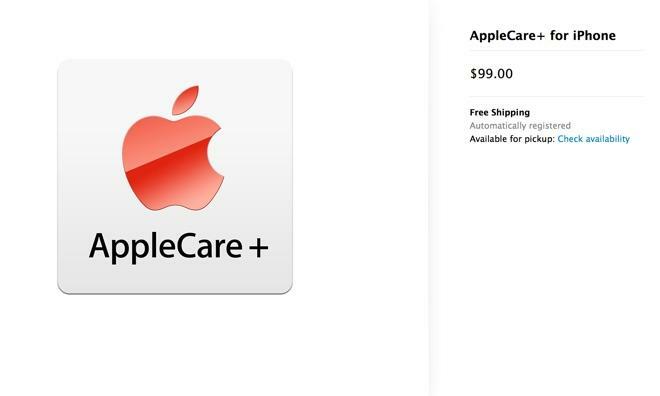 AppleCare+ for iPhone still carries the same initial price of $99. But now customers who need coverage for accidental damage will need to pay a $79 service fee, plus applicable tax, to have their device repaired or replaced. Previously, customers paid $49 for accidental damage coverage. The limit two two incidents per device remains unchanged. AppleCare+ costs $99 for two years of coverage, providing repair or replacement of the iPhone, its battery, included earphones and accessories, and the included USB cable and power adapter. Every iPhone comes with 90 days of complimentary telephone support, and one year of warranty coverage. But an AppleCare+ plan extends that support to two years, and adds the ability to protect from accidental damage without having to pay the full unsubsidized price for a replacement iPhone. The change to AppleCare+ came on Tuesday as Apple announced its new smartphone lineup: the iPhone 5s, which features a Touch ID fingerprint sensor and 64-bit A7 processor, and the iPhone 5c, which features a solid polycarbonate back and comes in a range of new colors. Both devices will be available to purchase with AppleCare+ when they go on sale next Friday, Sept. 20.